"Genova Città dei Festival": more than 40 festivals, from april to december, will take place in Genoa with many not-to-be-missed appointments! During the summer there will be many events, but our festivals will continue all year long. Everyone will be satisfied! The festivals will have the following themes: music, theatre, dance, literature, visual arts and sciece and technology. 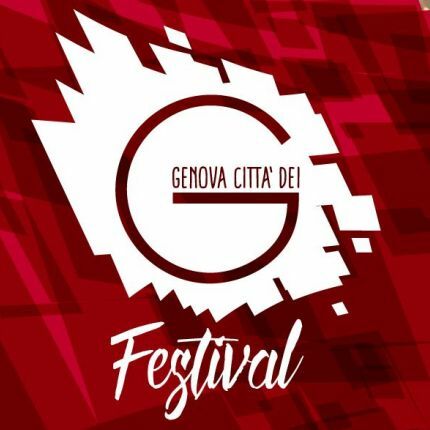 "Genova Città dei Festival" is organized by the Municipality of Genoa and its goal is to value the artistic and cultural heritage of the city, promoting its development. Here you can find the calendar of our festivals! We are updating daily this page, ollow us to find out more about these festivals! Sponsor of the "Genova Città dei Festival" initiative: Gruppo Iren, Coop Liguria. MUSIC | JANUARY-MAY "L'ANTICO E IL NUOVO"
"Il piacere della scoperta" is the title of the 2018 edition of the L’Antico e il Nuovo festival and represents the goal of the event. SCIENCE AND TECHNOLOGY | APRIL - FEBRUARY "TEDxGENOVA 2018/2019"
TEDx comes back to Genoa, with a series of not-to-be-missed events, which will follow the official TEDx format: “thinking” and “doing” in 18 minutes presentations. MUSIC | APRIL-MAY "SUPERNOVA FESTIVAL 2018"
From April 20th to 25th, the Porto Antico di Genova will host the fourth edition of Supernova, the Independent Italian Music Festival. VISUAL ARTS | MAY "LA SETTIMANALE DI FOTOGRAFIA 2018"
From May 15th to al 20th, Genoa will host the fourth edition of La Settimanale di Fotografia, with three events and one exhibition. THEATRE | MAY "FESTIVAL COMICITY – Le strade della comicità"
From May 23rd to 27th lots of laighs in Genoa with the Festival Comicity, the first National Festival dedicated to comicity. MUSIC - VISUAL ARTS | MAY-JULY "GENOVA PER VOI E PROFESSIONE AUTORE 2018"
Subscribe to Genova per Voi (the talent show for sognwriters) and Professione autore (artistic contest for tv show authors). LITERATURE | JUNE "FESTIVAL DI POESIA 2018"
From June 7th to 17th the 24th edition of the International Poetry Festival of Genoa will take place, presenting poetry in all its forms. THEATRE | JUNE-JULY "FESTIVAL TEATRALE DELL'ACQUEDOTTO 2018"
The 10th edition of the Theatre Festival of the Aqueduct will offer shows, meetings, conferences and walks. MUSIC | JUNE "FESTIVAL DELLE PERIFERIE 2018"
The Festival delle Periferie reached its 16th edition: from June 15th to 17th the parco di Villa Rossi will host three days of music. THEATRE | JUNE "20° SUQ FESTIVAL – Teatro del dialogo"
From june 15th to 24th, at the piazza delle Feste of Porto Antico, the 20th edition of the Suq Festival will take place. The event will be dedicated to the theme “Women, islands and borders”. MUSIC | JUNE-OCTOBER "LE VIE DEL BAROCCO 2018"
From June 21st to October 20th, the International Chamber Music Festival “Le Vie del Barocco” will take place. The event Is organized by the Collegium Pro Musica Association. MUSIC | JUNE-APRIL "LA VOCE E IL TEMPO 2018/2019"
La Voce e il Tempo, the 3rd edition of the event offers concerts and conferences, but also wokshops. THEATRE | JULY-AUGUST "FESTIVAL IN UNA NOTTE D'ESTATE 2018"
From july 5th to august 2nd, the 21st edition of the In una notte d'estate - percorsi dell’identità Festival will take place in genoa with readings, music and dancing. MUSIC | JULY "GOA-BOA FESTIVAL 2018"
From the July 1st to 31st, the historic independent music Goa Boa Festival will take place at the Porto Antico di Genova, Arena del Mare. MUSIC | JULY-SEPTEMBER "27th MEDITERRANEAN MUSIC FESTIVAL- Eurafrica"
From july to September charming museums and historical Palaces will host the Mediterranean Music Festival. THEATRE | LUGLIO | "TOSSE ESTATE 2018"
In summer the Teatro della Tosse comes back to the streets with many events. THEATRE | LUGLIO-AGOSTO "RIDERE D'AGOSTO... MA ANCHE PRIMA 2018"
"Ridere d'agosto, ma anche prima" is a traditional event for the Genoese summer nights! The festival is organized by Teatro Garage. MUSIC | JULY "LIVE IN GENOVA 2018"
Summer 2018 at the Arena del Mare will be full of music with six not-to-be-missed concerts of Italian and international artists. MUSIC | JULY "VIII INTERNATIONAL MUSIC FESTIVAL"
For four days Genoa will become the great stage of concerts, performances and runway shows with thousands of people. MUSIC | JULY "LILITH FESTIVAL 2018"
The Lilith Festival della Musica d’Autrice reached its 8th edition, it grows and brings great music to Genoa. MUSIC | JULY"PALCO SUL MARE FESTIVAL 2018"
Palco sul Mare Festival 2018 offers five pop music concerts and social shows, on the beautiful Genoese coast. Gezmataz Festival & Workshop is a cultural event dedicated to different kinds of music that matches the shows with an educational project for young people. Fondazione Garaventa, after the success obtained at the Isola delle Chiatte in 2017, presents the first theatre and music festival dedicated to the sea. MUSIC | SEPTEMBER - DECEMBER "LE VIE DEI CANTI"
The 3rd edition of “Le Vie dei Canti” created and directed by Laura Parodi and Alessandro Guerrini has Love as its recurring theme. MUSIC - VISUAL ARTS | SEPTEMBER "CODEWAR Project"
CODE WAR is a movement that combines electronic music, street culture and visual arts. VISUAL ARTS | OCTOBER-MAY "CINEMA RITROVATO 2018/2019"
"Cinema Ritrovato" is a film festival held in Cinema Sivori. MUSIC | OCTOBER "PAGANINI GENOVA FESTIVAL"
A homage to the greatest violinist of all times from his native city. MUSIC | OCTOBER | "SEMPREVERDI"
The Sempreverdi music festival takes place from October 10th to 14th with many initiatives in locations linked to Giuseppe Verdi. MUSIC | OCTOBER - NOVEMBER "LE STRADE DEL SUONO"
“Something Real” is the title of the 6th edition of Le Strade del Suono, a unique Genoese reality dedicated to contemporary music. MUSIC | NOVEMBER "ELECTROPARK FESTIVAL 2018"
From November 8th to 10th Genoa hosts Electropark, an electronic and world music festival set up in historical and unconventional venues. VISUAL ARTS | NOVEMBER "NUOVO CINEMA EUROPA FESTIVAL 2018"
From November 10th to 18th Genoa hosts "Nuovo Cinema Europa", the only European festival dedicated to debut movies. MUSIC | NOVEMBER - DECEMBER "MUSICA NEI MUSEI E NON SOLO 2018"
"Musica nei Musei e non solo..." proposes concerts in museum spaces. LITERATURE | DECEMBER "INCIPIT - FESTIVAL DI LETTERATURA"
"Incipit - Festival di Letteratura" is a festival dedicated to Italian literature. Circumnavigando Festival Internazionale di Teatro e Circo is a cultural event born in Genoa in 2001.